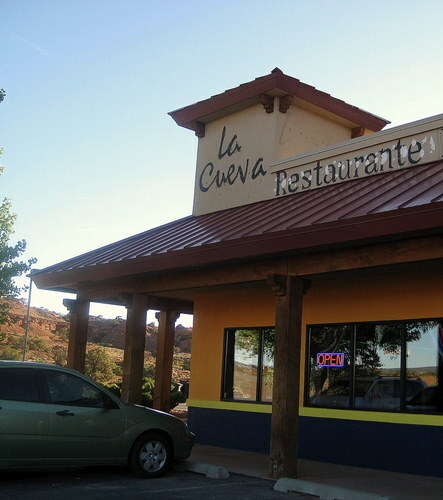 For dinner in Torrey, we headed over to La Cueva. It’s a mexican joint attached to a gas station convenience store. 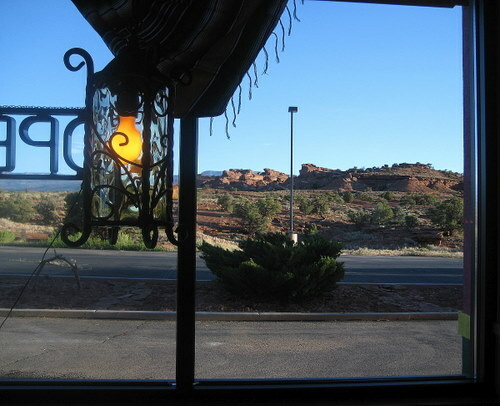 Yes, many restaurants seem to be attached to gas stations here in southern utah. Complimentary chips and salsa. 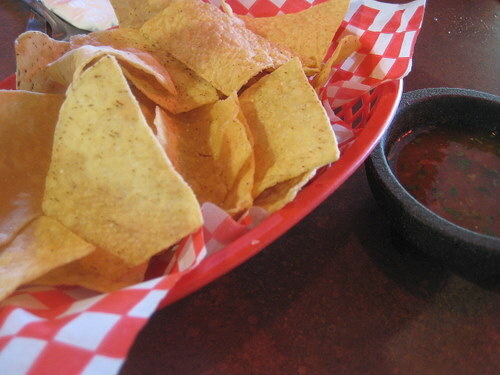 The chips were excellent – warm, crunchy, not greasy. The salsa was ok, but way too watery. 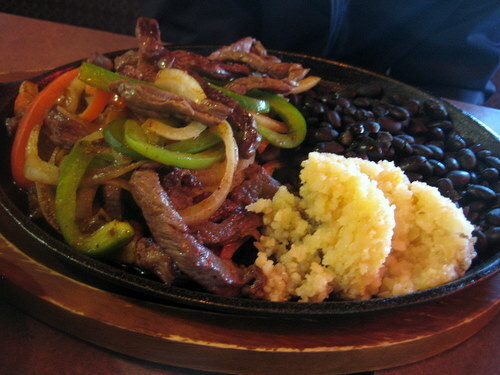 S got the beef fajitas. While the rice and beans were fine, she was sorely disappointed with the actual meat and veggies. Instead of being fresh, she could tell that they came from a giant vat of pre-cooked meat and veggies. Even though it was placed on a “sizzling hot plate”, there was nothing really sizzling about it, because it had probably sizzled hours ago. If it had actually just been cooked, it probably would have been decent. I got an enchilada and taco combo. 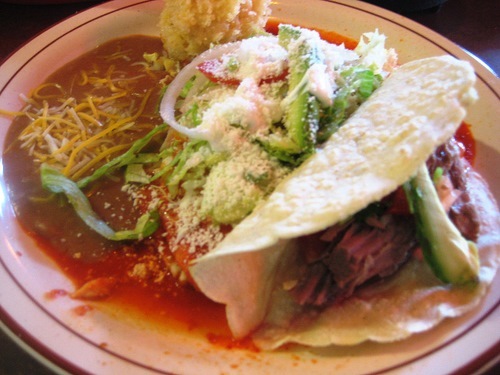 I had a barbacoa taco and it was pretty freakin delicious. The enchilada was topped with all kinds of cheese and veggies and even avocado, and that was good too. So were the rice and beans. In other words, I ordered the right thing.